Wavin Hep2O Joint Testing Kit. 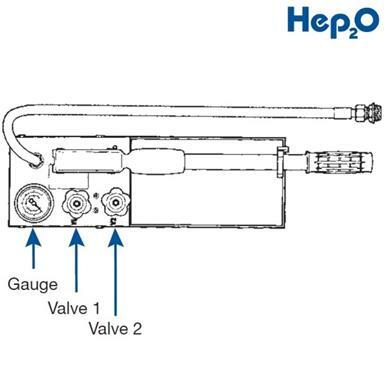 Disconnect any non-Hep2O components that will not withstand the test pressure. Blank off all open ends using Hep2O blanking pegs. 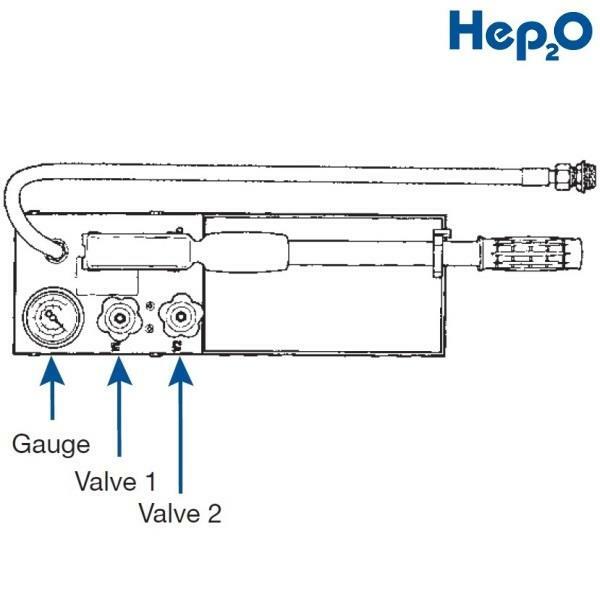 Connect pressure hose to system at a convenient point using a Hep2O socket. Close valve V2 and open valve V1. Completely fill system to be tested with water and purge all air. Raise pressure to test pressure and close valve V1. 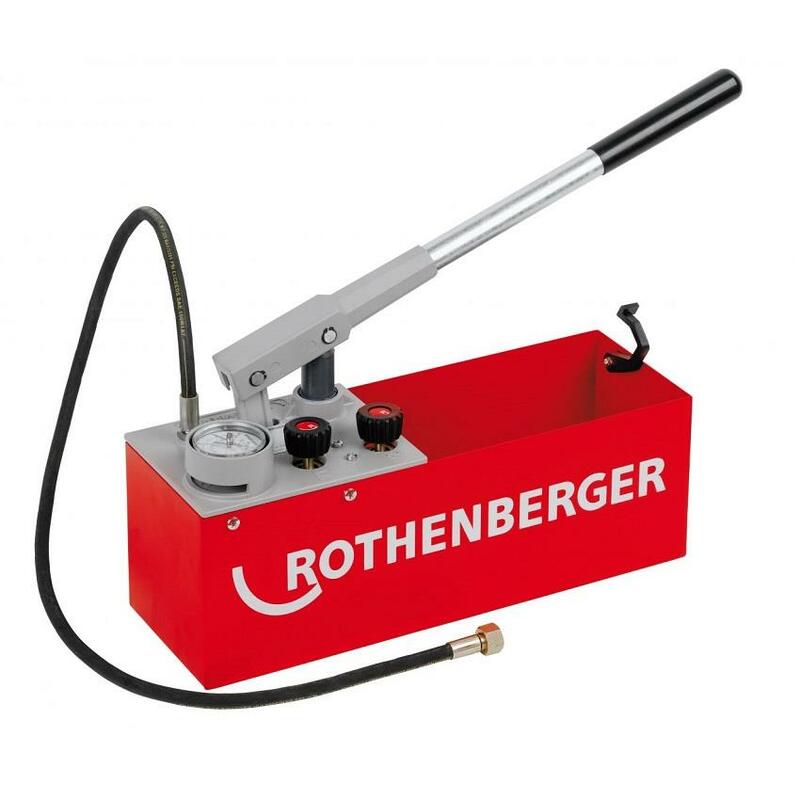 At end of test duration, tap gauge (to ensure pointer is ‘free') and read pressure on gauge. If there is no appreciable drop in pressure, the system is watertight. 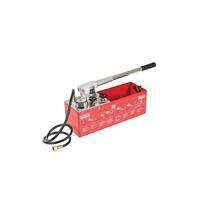 Release valve V1 and V2 to release pressure and drain system if necessary. Note: If the system contains ANY earlier version grab-ring or SlimLine fitting, a further test to a maximum of 18 bar should always be undertaken, but any non-Hep2O appliances or fittings that will not withstand testing at 18 bar should be disconnected - check with other manufacturers instructions. The duration of the test should be not less than 1 hour in accordance with BS 6700.